Hello friends! Don’t forget to enter my giveaway for two Shabby Chic books. The giveaway runs through 2/17 so there is still time to enter here. I recently posted about our antiquing/shopping trip to Lucketts, Chartreuse and the antique shops located in downtown Frederick, Md. I love the Paris pillow I purchased at Chartreuse. Today I want to show you my other finds from this trip. I fell in love with this inhaler. Though not that old I thought it was so cute and it goes great with my other black and white pieces. Here’s the side view. The best part is it only cost $3.00! My next purchase was a new piece that fits in perfectly with my other white and black pieces. For some reason I am always drawn to anything with a number on it. I didn’t realize how many things I had with numbers on them until I started looking around our house. This could be my next post. You may remember my search for a vintage breadboard and how my sweet friend Mona at Providence Ltd sent me a wonderful one as a gift. The board in front is the one Mona gave me. The larger one I bought on this trip. The funny thing is I had been looking for over two years and never found a vintage board anywhere local. There were a couple I saw on-line but the cost was more than I wanted to pay. We walked into a shop in Frederick and there were at least twenty different breadboards. I was in heaven! I like the handle on this one. I also bought another board which I believe is a pizza paddle. My purchase is almost identical to the vintage ones that Pottery Barn sold and mine cost $127 less! These are sold out at PB now but I believe they originally sold for $159 each. You’ll have to wait to see the paddle in our new home. I am trying to declutter to put the house on the market so I didn’t want to add anything new to the walls. We leave for Orlando in a couple of days. I am looking so forward to seeing my family and getting a chance to visit neighborhoods and narrow down our search for a home. Wish us luck with selling the homes we own now. Thank you so much for visiting and all your kind comments. I like the little inhaler and the old bread boards are fabulous. Hi Sherry, You have so many nice black and white pcs. I love your PURE BUTTER Tray. PS:I be wainting for your nex post. 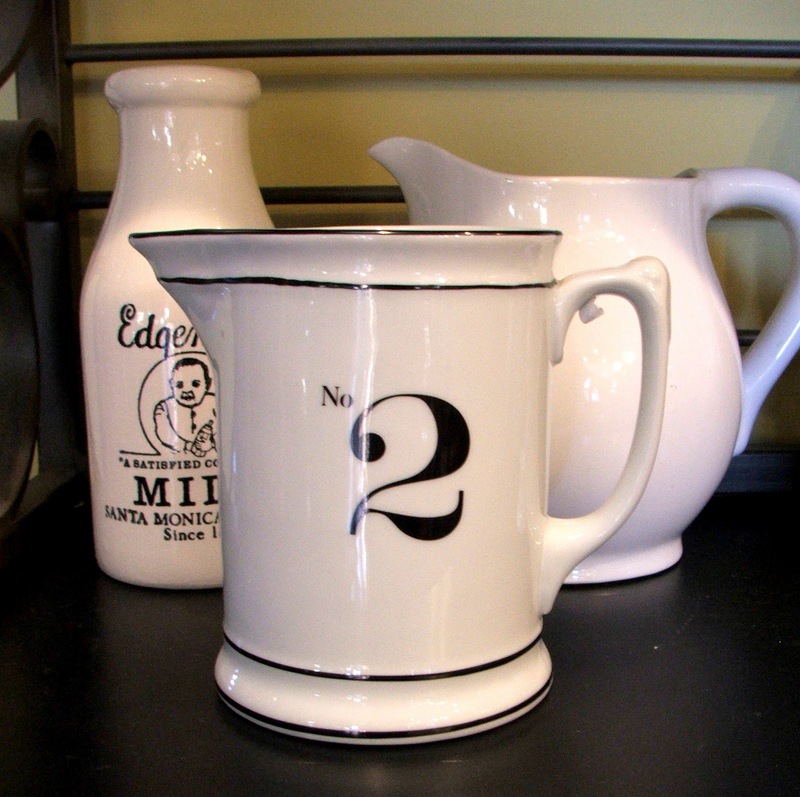 Great find Sherry, I'm a lover of everything numbered too and the handle on that bread board is fabulous. Enjoy the warm weather in Orlando and happy house hunting. You'll have to take pictures for us of what you see as possibilities. Love your goodies, especially the No 2 container! Good luck with the sale of your house….I wish you a speedy sale! Sherry, great finds you found, and displayd beautifully. I wanted you to know i tried your tutorial on the (french birth cert), ANd love it, it hangs in my home.. Thanks for Sharing-I would of never thought to do that..
Great finds Sherry. I love that inhaler and mixing it with your other pieces makes everything look wonderful. Best of luck selling your homes. I wonder why they had so many breadboards? They are wonderful, but remember your going to have to pack everything to move !. The weather here is gorgeous, that should make your decision easier. Sherry your finds are awesome! I love the bread boards! Sherry, I almost bought an inhaler very similar to yours. Love that. I'm also on the hunt for a vintage bread board but all the ones I've found online cost more than I can, or want to, pay. The long handled board…pizza paddle. That is sooo neat! Sherry, I love your new antiques. Great bread board. Have a wonderful trip and good luck with selling the houses and finding the perfect new one. Thanks for joining my new party. I love all your goodies and can't decide on a favorite. Maybe the bread boards. Great finds! Sherry you SCORED with those breadboards!! You can't find them for nothin' where I live, and I want one too! The inhaler was also a steal for 3 bucks! Thanks so much my friend for making all the extra effort to come over for a visit! Seems all is back to normal on my blog. This domain thing has been a real white knuckle experience! Hi Sherry! I love seeing all of your most beautiful pieces! I want one of those 'Pure Butter' trays! I think those are just gorgeous! Look like it was a successful shopping trip! Love the black and white pieces. I've never seen an inhaler before. Love the old boards. Can't wait to see them in your new home. Good luck with the trip. Great finds Sherry! I have to tell you that over the weekend I spent some time perusing your old posts and taking a little tour of your home (again!). It is all so lovely and I found so much inspiration! Thank you for sharing it with us! Good luck house-hunting in Orlando! I live in Gainesville and am interested in the area myself. My husband has applied for a job there and I have been house hunting online. There are some beautiful and pricey areas in Orlando. The traffic is murderous, so be sure and live as close to work as you can. I will be excited to see what you find. I love thrifting and finding treasures! You really did good! Oh Sherry, I can so relate to your upcoming move. Exciting, yet nerve wracking at the same time! G'luck with it all, and I LOVE the bread board. Hmmm, I think I need to put this on my radar now too! What great finds. My son is a nursing student and collects medical containers and i know he would love to find something like that for his small growing collection. I'll have to be sharper when I'm shopping. Love all of your black and white finds. Great finds you found on your trip…love that breadboard! 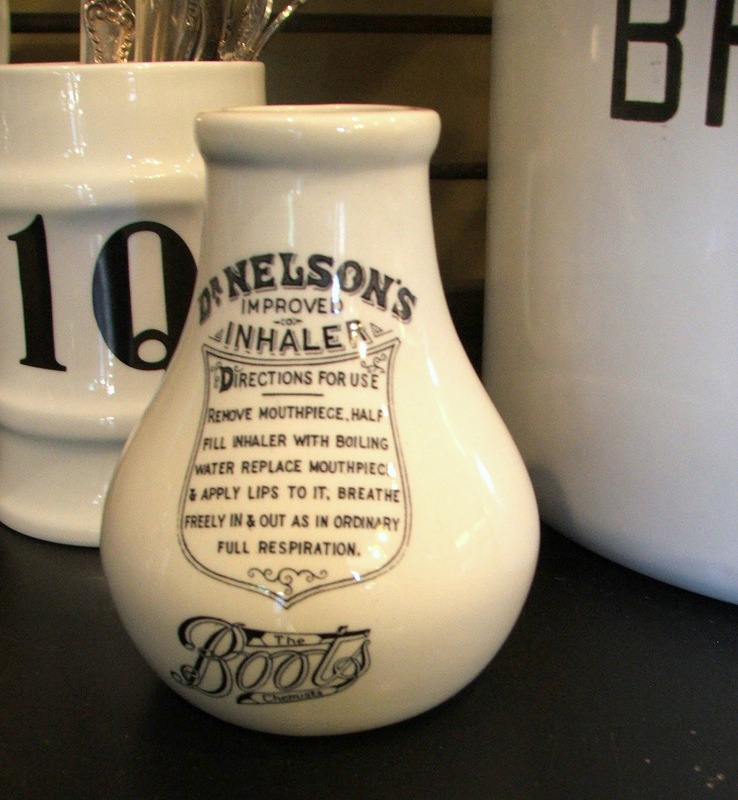 Very interesting piece–the inhaler. I've never seen anything like it. Oooh…I love your new black and white pieces…sooo pretty, my friend! You really do have a lovely collection! And…I love your old breadboards as well! How very sweet of Mona to gift you one! They look sooo frenchy fabulous sitting in the basket…love that! 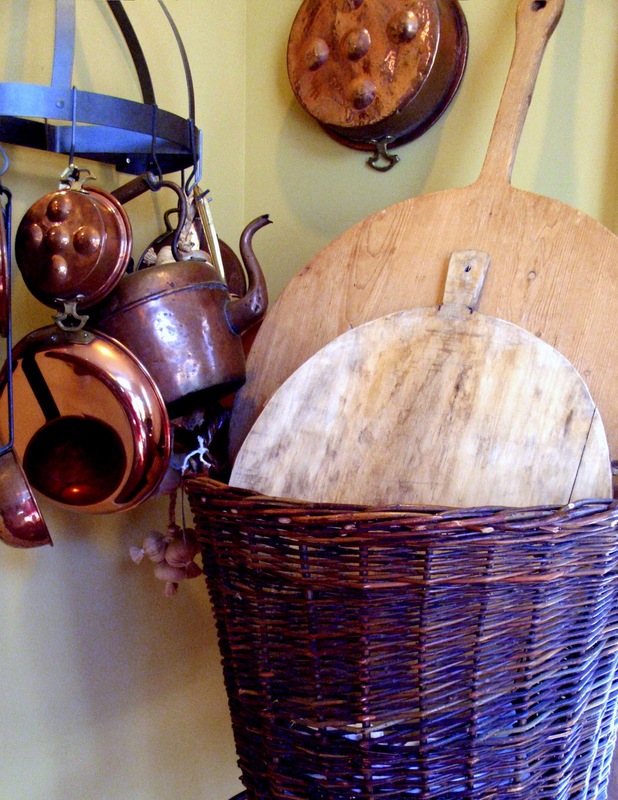 I also was admiring all that beautiful copper cookware…ahhh, my heart be still! I sooo love copper and I don't own one single piece! I may have to remedy that! Hehe! Well dear friend, I'm just tickled pink for you…you really did find some great things! Thanks for sharing them with us! I also wanted to thank you for stopping by and taking a peek at my Valentine place setting! I always enjoy your visits and sweet notes, my friend! Thank you! Sending you my very best wishes for a Happy Valentine's Day! 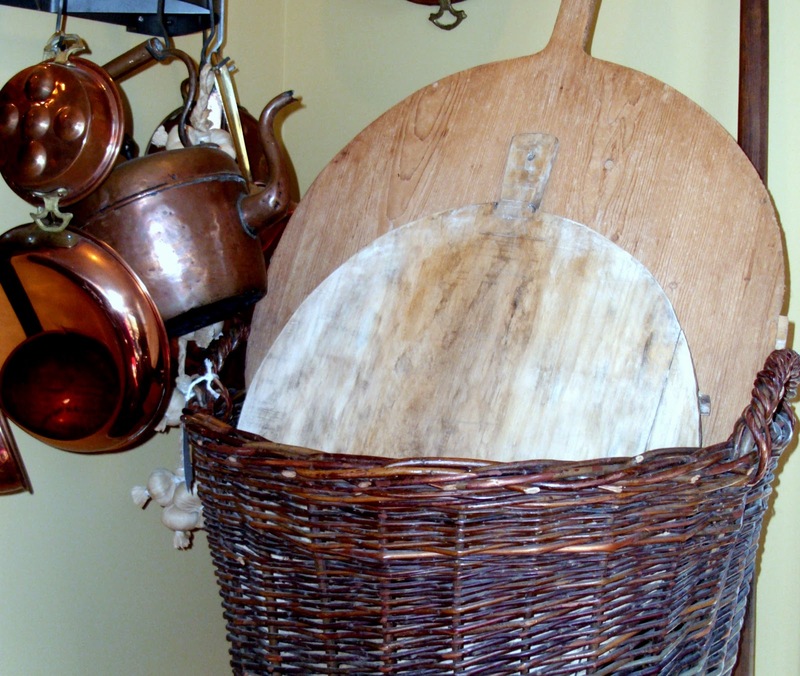 I love those bread boards in the basket–sweetest idea! Great stuff–thank you for sharing some great inspirational photos. LOVE that number 2 pitcher! Your home is beautiful! Good luck on your hunt in Orlando! I love ALL your great new finds. I can't wait to see them in your new home. Good luck with the hunt and have fun looking!!! such pretty pieces! Thanks for sharing. becoming a follower. Hey Sweetie! I noticed that you have been featured again by Knock Off Decor for you French Documents! Congrats again! Such great finds – I love the bread board! Now, this is beautiful, Sherry. 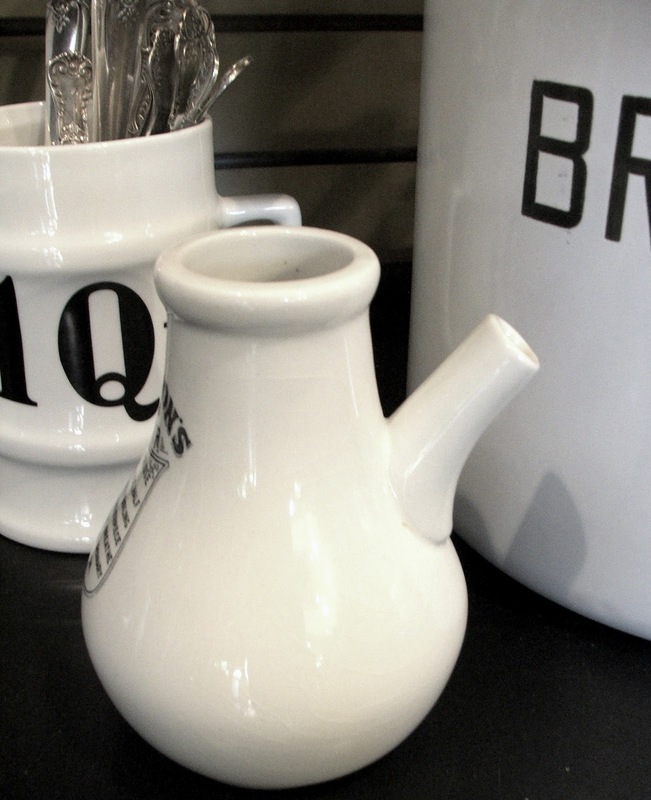 I love things for kitchen and these things are sooooo beautiful, so charming! You've a great taste! Post of teh Day: A multi million House in Malibu. I love your banner…it's beautiful!